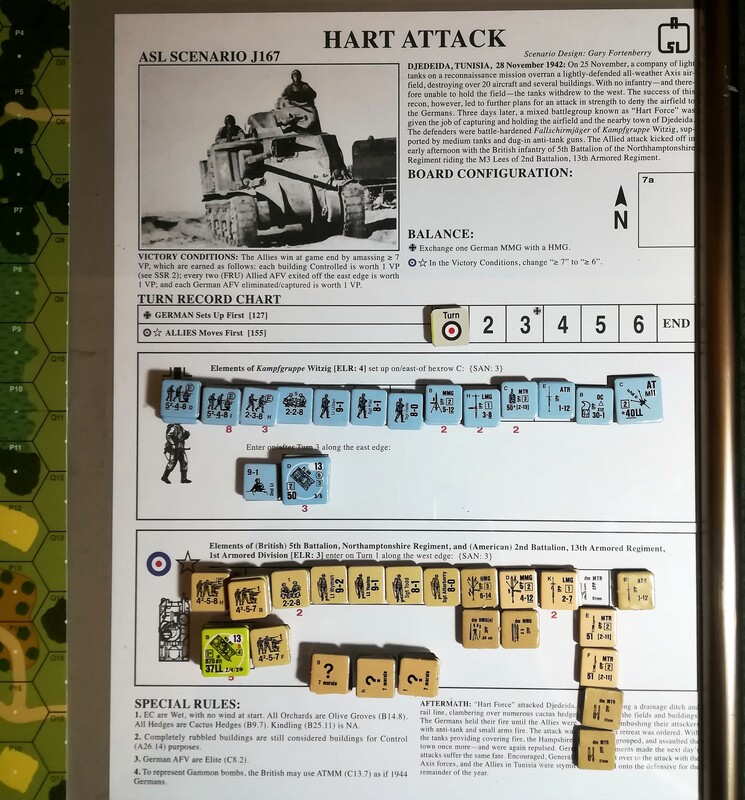 HART ATTACK [J167] – Attenzionen!!! 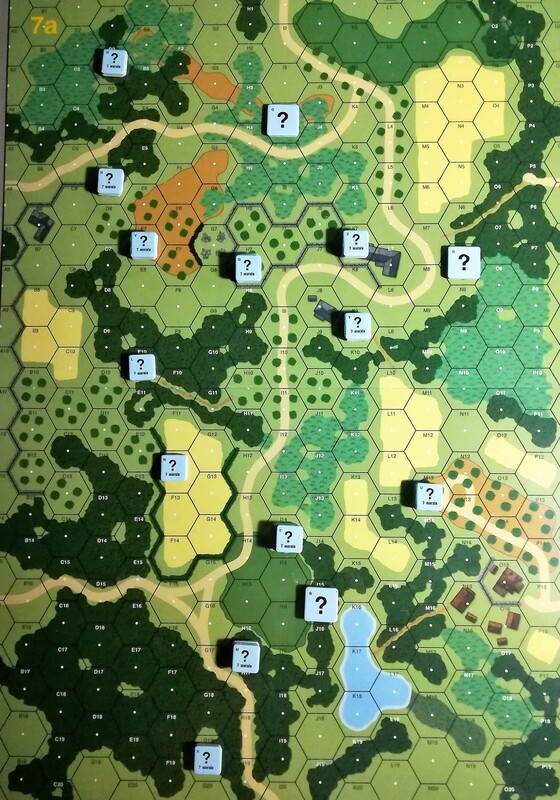 The terrain is quite broken with engagement ranges mostly between 1 and 4 hexes. 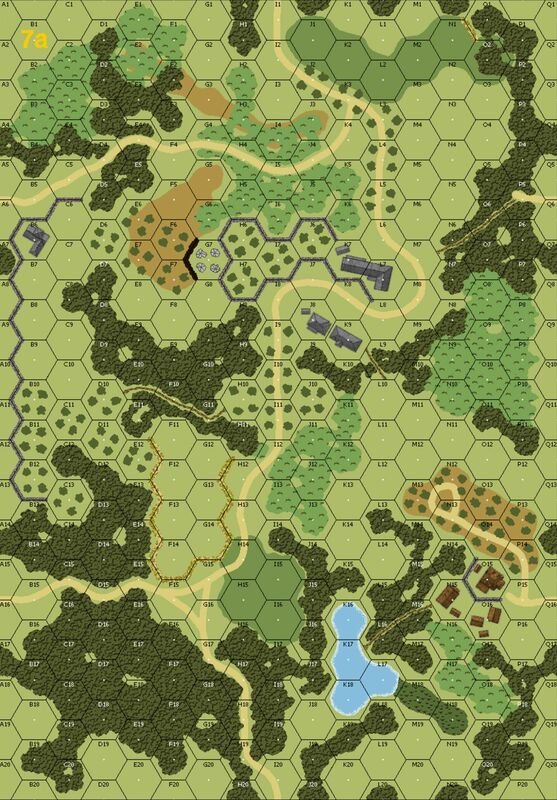 Only from the two small level 1 hillocks there are some clear LOS of up to 15 hexes, mainly over the treetops to the other hillock. Otherwise view is restricted by woods, olive groves, and walls/cactus hedges. The adjusted VASL map shows the character of the area with the grain fields out of season and all hedges converted to cactus hedges. 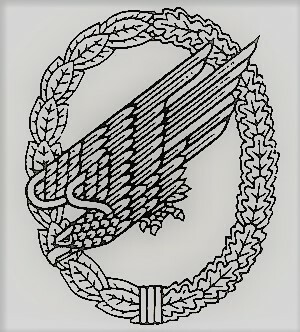 The German defence is sort of a trip wire that means to slow down the British infantry. The Germans will fall back and concentrate on defending the two cluster of 3 buildings each. 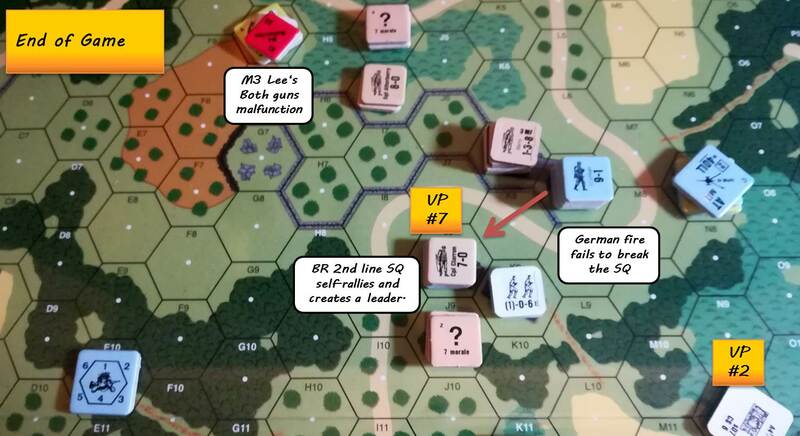 As I play this scenario solo I converted the HIP gun placement into 3 possible sites for the 40mm at gun. 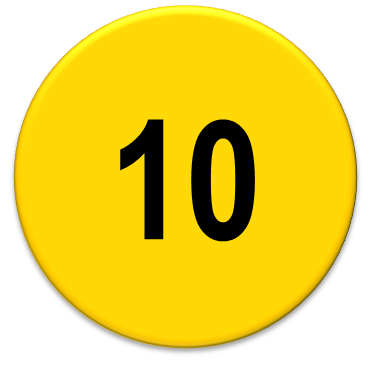 As the game unfolds I will roll a die to see if a given location springs into action or is vacant. This will give both sides some fog of war as to the actual placement of the gun. In an face to face game the actual placement of the at gun is a critical choice I believe. For the Allies there are several ways of obtaining the 7 victory point objective. They will probably come to use a mix of controlling buildings, exiting armour, and killing the odd German tank. Also, they can choose from two main axis of attack possible. For my solo game I go for the Allied main effort along the sothern approach towards the wooden buildings. A minor effort will gain and secure the stone building at B6 for a first VP. As the Allied attack unfolds the Germans pull back their infantry to form a defensive perimeter more close to the buildings. They have little means to fight the US medium tanks and will need to bear up until the German tank reserve can intervene. 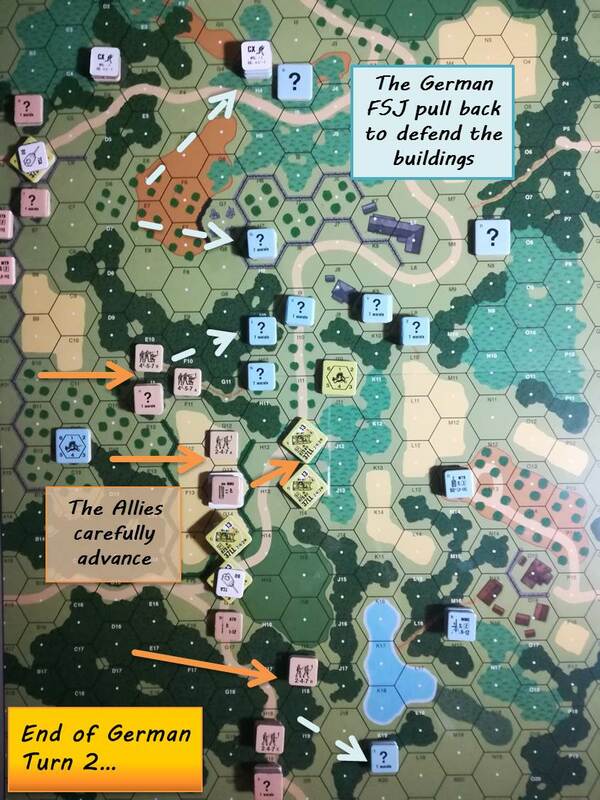 The Allies control buildings B6 and J8 (2 VPs), killed two German tanks (2 VPs), and have exitied 3 US M3 medium tanks to the west (3 VPs) for a total of the 7 victory points required to win this scenario. 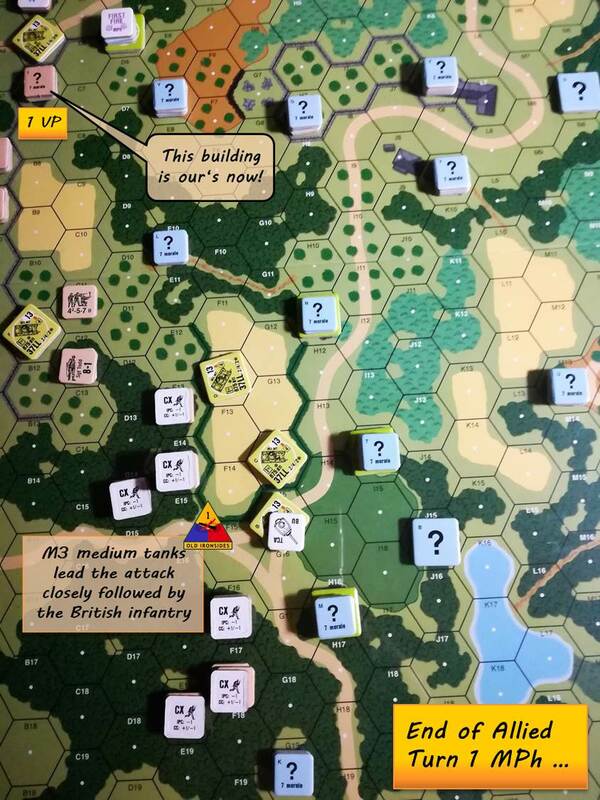 The only option to secure a German victory is to break the British squad in J8 and to advance retaking the building. This last effort fails, securing victory for the Allies. The casualties on both sindes are quite high. The Allies lose their two 9-2 and 9-1 leaders, a total of 8 squads, and a M3 mt Lee knocked out. 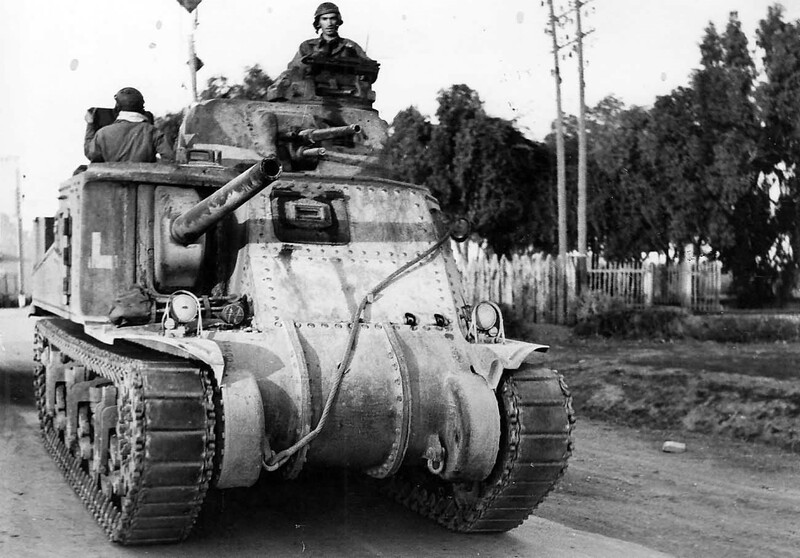 The losses amount to 57% for the British infantry and 20% for the American armour. On the German side the casualty list includes the 9-1 armour leader, the 8-0 leader, 6 squads, and 2 Pz III H. This totals at 55% losses. The overall high loss rates are mainly due to the heavy close combat fighting in woods and buildings. 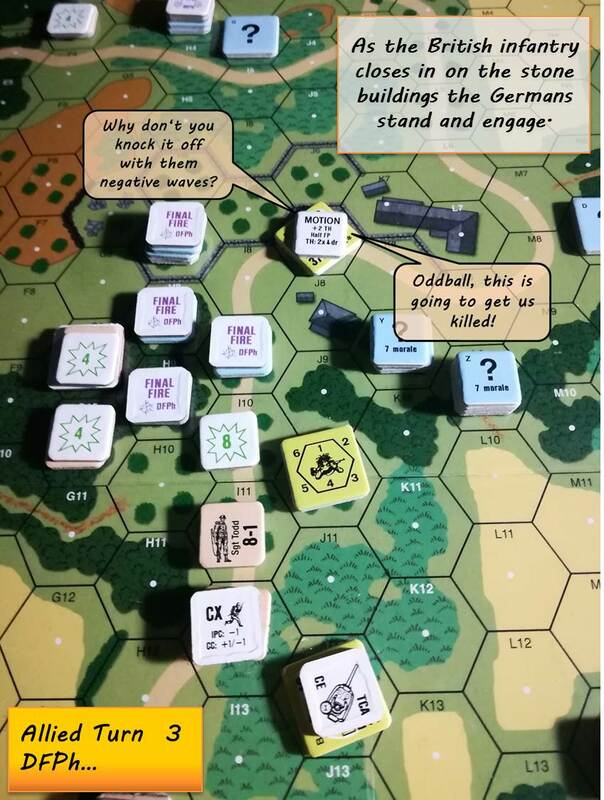 In hindsight the Germans should have used their armour to reduce the British infantry and to deny the exit points for the American medium tanks. Instead they went for an armoured confrontation and found out that the Pz III H are no match for the M3 Lee. 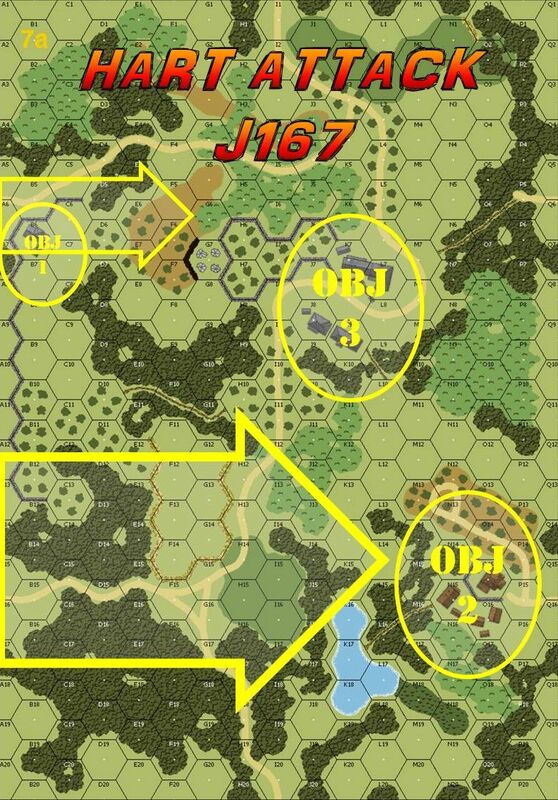 Engaging frontally the Germans need a lucky DR of ≤ 3 to penetrate AF 8 with their 50mm gun whereas both the American 75mm and the 37mm LL guns have a decent chance to defeat a frontal AF 6. I rate this scenario an exellent one. It is tense and full of opportunities for both opponents. I am looking forward to playing this one face to face.